Jamaica's most famous son, singer and songwriter Bob Marley, was responsible for making reggae music a global phenomenon. The popular Rastafarian became a cult figure even before his death in 1981, caused by cancer when he was only 36 years old. This museum devoted to his memory is one of the most popular attractions in Kingston. 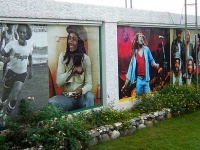 It is the simple clapboard house where Marley lived and recorded his music until he died, and is now packed with Marley memorabilia. There are also screenings of a movie about the singer's life. Memorabilia on show includes Marley's guitar, his old blue jeep, and a number of his awards. Even for those who aren't big Marley fans, his music was deeply influenced by the social issues of Jamaica during his lifetime and it gives insight into the culture of the country. It is hard to visit Kingston without wanting to pay tribute to the iconic musician.